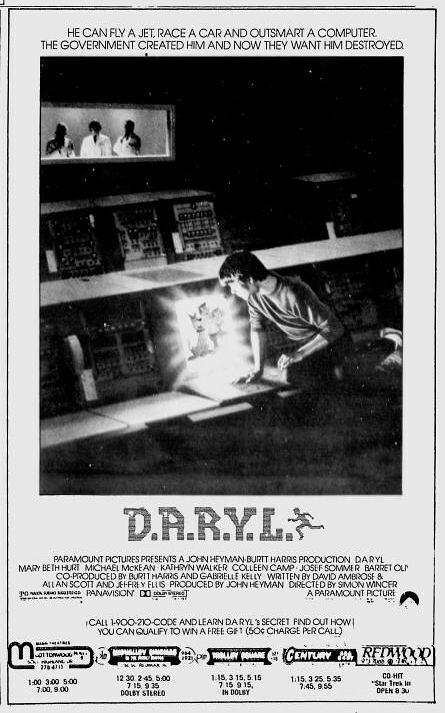 And now, finishing up our celebration of Clue the Movie's 25th anniversary, here is an ad for D.A.R.Y.L. starring Barrett Oliver (Neverending Story) plus two Clue alumi; Michael McKean (Mr Green) and Colleen Camp (Yvette). Barrett Oliver plays the titular child who is found wandering alone and without any memories about how he got there. A couple takes him in to help him find his way home and they discover he has several mysterious abilities no other kids his age have.